Press releases about recent developments at Palé Hall hotel and restaurant. Jan. 2019 - Palé Hall appoints Debbie Cappadona as GM. 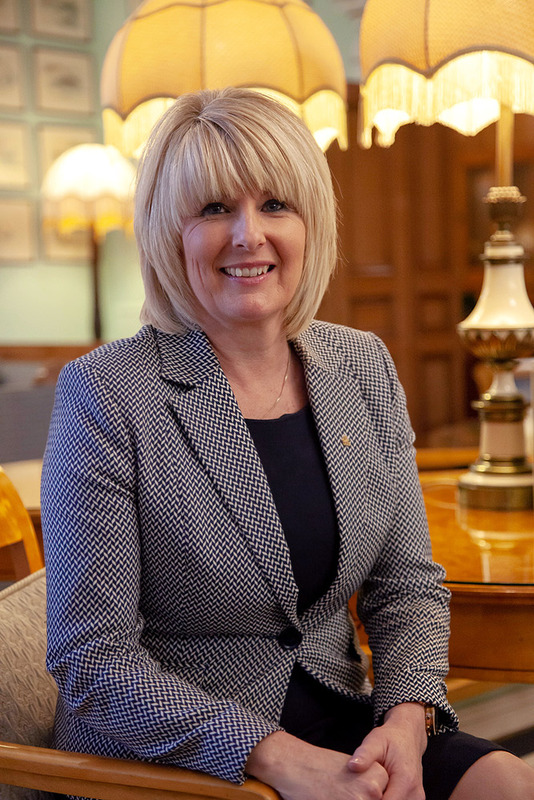 January 2019…/ Debbie Cappadona has been appointed to replace Harry Shepherd as general manager at Palé Hall, one of only three five-AA-star hotels in Wales. 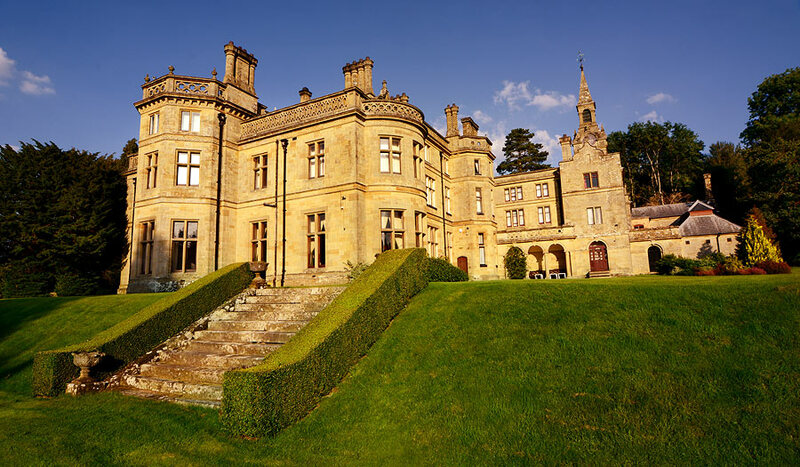 She is to be promoted from front of house manager to her new role on 1st April at the Grade II*-listed, 18-bedroom hotel in Llandderfel, near Bala, Gwynedd, owned by Alan and Angela Harper. Shepherd is looking to spend more time with his family and is searching for a new role closer to home. At the same time, Philip Newman-Hall, former managing director of Le Manoir aux Quat’Saisons, Great Milton, Oxfordshire, has joined the hotel in an advisory and mentoring capacity. Cappadona joined Palé Hall in October 2018 from her previous role as manager of La Brasserie at the Chester Grosvenor hotel, where she spent nearly three years. Prior to joining the Chester Grosvenor, Cappadona was head of VIP hospitality at Manchester United and ran her own outside catering company. Earlier in her career she was front of house manager at Llyndir Hall and general manager of two Feathers Group properties in Chester: the Westminster and the Queen hotels. Philip Newman-Hall said: “I am delighted to be working with Angela and Alan Harper on mentoring their young and enthusiastic team at Palé Hall. They have shown by their dedication to this lovely property that it is possible to reinvigorate a house and bring it back to life with the highest standards. 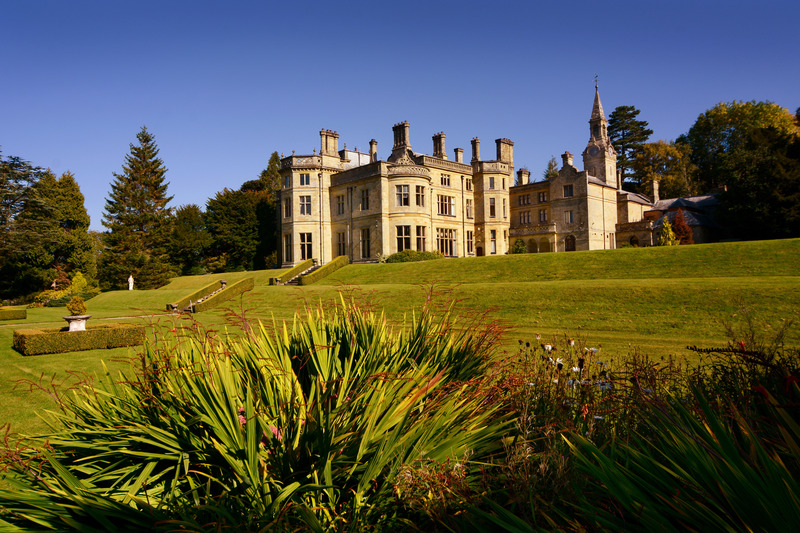 Located within a 50-acre estate, Palé Hall opened in 2016 following an extensive refurbishment by the Harpers, who are first-time hotel owners. Alan Harper is a telecoms entrepreneur and his wife Angela is a former headteacher. The hotel is a member of sales and marketing consortium Relais & Châteaux. Sept. 2017 - Palé Hall awarded 3 AA rosettes. Tuesday 26th September 2017…/ Palé Hall Hotel & Restaurant in North Wales was awarded the coveted three AA rosettes for food and service at last night’s AA Awards. Presented at the annual AA Awards ceremony in London on Monday, the property is one of only six in Wales with this accolade. Recommending hotels and restaurants for over 100 years, AA inspectors awarded Palé Hall with the esteemed three rosettes for culinary excellence which is achieved through their commitment to fresh local ingredients, innovative dishes and high levels of service. Owned by Alan and Angela Harper, who lovingly restored the historic building to its former glory and opened it as a stunning hotel in September 2016, Palé Hall is a peaceful and luxurious retreat surrounded by the natural beauty of the Welsh valleys on the edge of Snowdonia National Park. One of the UK’s most talented and well-known chefs, Michael Caines MBE, lends his invaluable guidance to the food and beverage at the hotel as consultant, working closely with Head Chef Gareth. Dishes are delivered with absolute professionalism in preparation, presentation and service, worthy of three rosettes. Sept. 2017 - Palé Hall launches 'Gin Venture' package. London, September 2017…/ Palé Hall, North Wales’ first five-star hotel, has launched a ‘gin-venture’ foraging experience. In partnership with Forager’s Gin, handcrafted by the Snowdonia Distillery, and local expedition specialists RAW Adventures, Palé Hall is now offering guests the chance to learn how gin is made and how to forage for botanicals. The ‘gin-venture’ starts on arrival at the family owned and run hotel with cocktails made from Forager’s Black Label and Yellow Label Gin. The evening continues in the dining room of the Grade II listed Victorian mansion, lovingly restored by Alan and Angela Harper, with an eight-course tasting menu from Head Chef Gareth Stevenson. Each dish celebrates the best local produce and ingredients, an ethos shared by the Snowdonia Distillery who create Forager’s Gin from hand-foraged, native botanicals to North Wales, along with the purest Welsh mountain water. After a comfortable night’s sleep in one of Palé Hall’s sumptuously decorated master suites, a hearty Welsh breakfast is served the next morning. Once breakfast is finished RAW Adventures will lead guests to the magnificent and iconic Mount Snowdon, known locally as Yr Wyddfa, to see first-hand the finest botanicals which give the Forager’s Gin its incredible and truly unique flavour. Collecting wild juniper berries, gorse and heather flowers, the ‘gin-venture’ continues with a tour of the Snowdonia Distillery where the master craftsmen talk through the entire distillation process, from selecting the choicest ingredients, to learning the art of gin tasting. On returning to Palé Hall, a bottle of the Forager’s Gin is placed in each suite allowing guests to relax after a busy day before dining from the hotel’s à la carte menu showcasing the finest of Wales’ rich culinary heritage. An exhilarating and memorable experience the ‘gin-venture’ gives guests the rare opportunity to combine sampling one of the country’s highest quality gins with exploring the wilds of Snowdonia and two nights of total luxury in North Wales’ most prestigious country house hotels. The ‘gin-venture’ starts at £1,642 for two guests including a two-night stay at Palé Hall, daily breakfast and dinner, RAW Adventure expedition, Snowdonia Distillery tour and transfers. 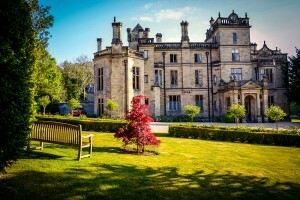 To book please call Palé Hall on 01678 530285 or visit www.palehall.co.uk. London, June 2016…// Launching in August this year, Palé Hall, North Wales, is delighted to announce two new appointments prior to its opening. Appointed by owners Alan and Angela Harper, in collaboration with partner Michael Caines, Pale Hall appoints Pim Wolfs in the role of General Manager and Gareth Stevenson as Head Chef. Appointed the position of Head Chef, Gareth Stevenson will bring a wealth of experience in both Michelin-starred and luxury hotel kitchens to Palé Hall. Helping to establish a strong understanding of the workings of a bustling hotel kitchen, Gareth began his career as a chef at Northop Country House Hotel, learning the fundamentals of the trade from a classically trained chef. From there, Gareth joined the team responsible for launching restaurant Michael Caines at contemporary hotel Abode, working his way up to the position of senior chef de partie and building an excellent relationship with the two Michelin-starred chef that will prove vital to his new role. During his time at Abode, Gareth also had a stage at two Michelin-starred Le Manoir Aux Quat’Saisons working alongside esteemed Head Chef, Raymond Blanc. In 2011, Gareth took up the position of demi chef de partie at Gordon Ramsay’s Maze, acquiring further experience of a Michelin-starred kitchen before returning to Abode and rising through the ranks to head chef. With extensive experience of menu design, leading a team, and the demands of a fine dining restaurant, Gareth is set to contribute to, and help deliver, Michael Caines’ exceptional vision for Palé Hall. 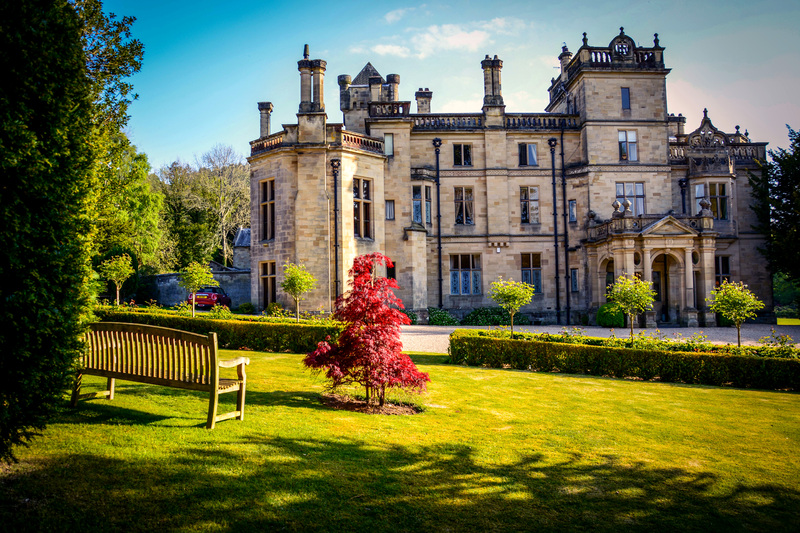 In the heart of the North Welsh countryside, Palé Hall is set to become one of the UK’s leading country house hotels with an emphasis on luxurious weekends away, delicious fine-dining and the stunning natural surroundings. Alan and Angela have personally overseen the refurbishment of the 18 guest bedroom hotel, choosing every last detail themselves, creating a peaceful and luxurious experience accompanied by the finest wines and foods from Executive Chef Michael Caines and Head Chef Gareth Stevenson. 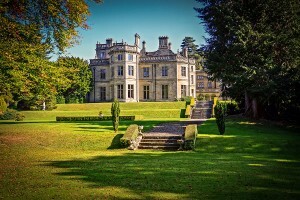 Palé Hall is one of Wales’s most important surviving homes with a fascinating history dating back to the late 19th century when Henry Robertson, a railway engineer, industrialist and contemporary of Brunel, bought the estate as a grand personal project at the end of his transformative career in building public works. Since construction, the manor house has played host to some of Britain’s most famous figures including Queen Victoria and Winston Churchill. April 2016…/ Sauce Communications is delighted to announce that we are handling the PR for acclaimed Chef Michael Caines and a new, soon to open portfolio of sister luxury hotels – Palé Hall in North Wales and Lympstone Manor in Devon. Having finished his final service at Gidleigh Park in January 2016, after 21 successful years, winning two Michelin stars and establishing a reputation as one of the UK’s most talented and well known chefs, Michael is using his years of experience in the luxury hospitality sector to add hotelier to his already highly impressive CV. “I’m so pleased to be working again with Sauce Communications during this exciting period of my career, with Palé Hall opening this summer and Lympstone Manor in early 2017. Sauce will be looking after my personal profile along with the broader and worldwide Michael Caines Collection that includes the two new luxury country house hotels. I’m confident that by working with their talented team I’ll see my business and the two new ventures go from strength to strength” commented Michael Caines. 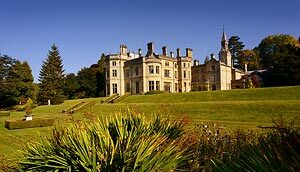 On the edge of Snowdonia National Park within a dramatic 50 acre estate, Palé Hall is an historic, Grade II* listed country house that is currently undergoing an extensive refurbishment programme, set to open its doors this summer as a fine dining, luxury destination country house hotel. 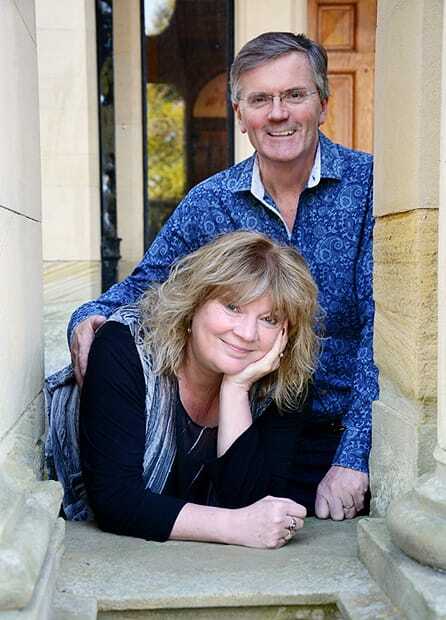 The Victorian property is currently closed for restoration after being acquired by telecoms entrepreneur Alan Harper and his wife Angela, a former head teacher. The new owners are personally overseeing the project to the very finest detail, and are working in association with Michael Caines who will be developing an exclusive fine dining restaurant to the property in addition to his hospitality industry guidance in all areas of the business. A Head Chef will be appointed and announced later this year. Palé Hall is regarded as one of Wales’s most important surviving country houses, and the Harpers’ personal mission is very much to preserve and gracefully enhance the property, retaining its individual character and rich history which will play a central part in the guest experience. Having played host to the likes of Queen Victoria and Winston Churchill in past years, Palé Hall will once again become one of the very finest places to stay in the UK. There will be 18 individually designed guest bedrooms and suites, each with a unique charm and style of their own and all enjoying stunning rural views. Original period features have been retained as much as possible, and the owners have gone to great lengths to ensure no detail has been forgotten, sourcing beautiful individual pieces of furniture and art to adorn the property and hand-stenciling wall decoration to match the original details uncovered during the process. The three dining room spaces will play host to breakfast, lunch, afternoon tea and dinner, each providing a sumptuous yet relaxed and friendly backdrop to Michael Caines’ signature menu, which will focus on fantastic local produce delivered with absolute professionalism in preparation, presentation and service. Michael is in the process of creating his own country house hotel overlooking the beautiful Exe estuary in Lympstone, Devon. Having purchased Courtlands, a Grade II listed Georgian mansion, in 2015, Michael is currently renovating, restoring and extending the property to create Lympstone Manor, which will open as a 21 bedroom luxury country house hotel with a 60-seat fine dining restaurant early next year. This project marks the realisation of a long-standing dream in which Michael will express his own vision of hospitality in all aspects, with his passion for food and wine at its heart. The 60 cover restaurant will feature Michael’s signature, award-winning modern European cuisine that champions the fabulous produce of Devon and the South West. A team of talented architectural and interior design specialists have been engaged to create a property that both fits seamlessly with its fabulous location on the Exe estuary, and impresses the most discerning guest in its comfort and style. London, April 2016…//Steeped in rich history and surrounded by the stunning Welsh valleys on the edge of Snowdonia National Park, the reimagined Grade II* listed Palé Hall by new owners Alan and Angela Harper is set to be unveiled later this summer. 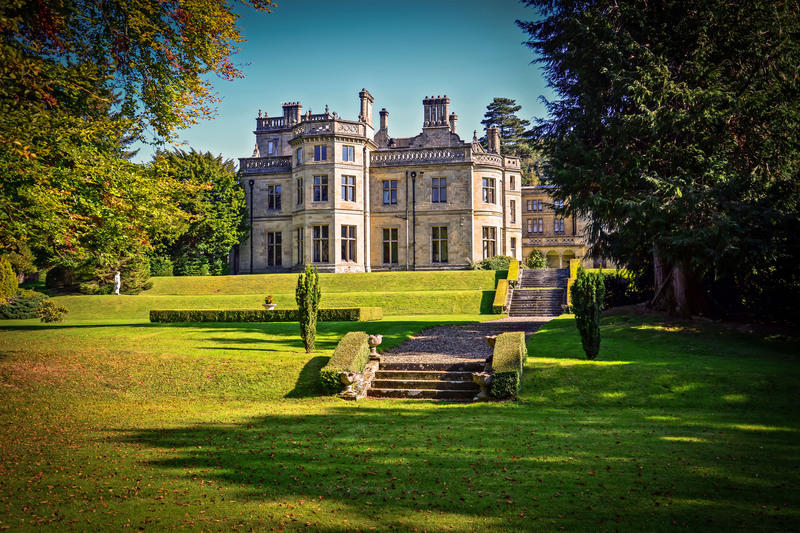 Palé Hall will launch as one of the UK’s finest destination country house hotels with renowned Chef Michael Caines working in collaboration with the Harpers to add an exclusive fine dining restaurant. Alan and Angela have personally overseen the refurbishment, choosing every last detail themselves and creating a peaceful and luxurious retreat surrounded by natural beauty and accompanied by the finest wines and foods. In its new chapter as a hotel, 18 guest bedrooms and suites have been transformed and individually designed with their own style and personal identity. The guestrooms use soft yet playful Zoffany furnishings and quintessentially British William Morris prints. Each room holds its own history, such as the aptly named Victoria Suite, home to the bed that Queen Victoria once slept in and her original bath. Another highlight is the wood panelled Robertson Suite where Churchill is alleged to have played snooker on his many visits to Palé Hall. Furthermore, every guestroom enjoys a stunning view across the rural Welsh landscape, with window seats or deeply comfortable sofas and armchairs from which to watch the world go by. One of the UK’s most talented and well-known Chefs Michael Caines, who previously held two Michelin stars at Gidleigh Park, is the driving force behind the development of food and beverage at Palé Hall, ensuring that fine-dining is at the heart of this new hotel. A Head Chef will be appointed and announced later this year. The three dining areas at the manor house will provide breakfast, lunch, afternoon tea and dinner, each with a different look and feel. The largest of them is the grand main dining room, followed by the Venetian themed alternative dining room and finally the intimate library complete with original stencilling restored by Angela Harper herself, the perfect setting for private dining. Michael Caines’ signature menu will focus on the fantastic local produce surrounding the hotel, delivered with absolute professionalism in preparation, presentation and service. Two drawing rooms both with large comfortable sofas and armchairs are delicately decorated as befits a luxurious country home. Floor to ceiling windows make the ground floor living rooms the perfect place to relax with a book, board game or pre-dinner drink. The piano situated in Palé Hall’s main entrance hall will play a central part, with Palé Hall hosting musical evenings for both guests and locals alike. With the surrounding natural landscape, an important focus for Palé Hall will be the outdoor activities offered in the grounds of the hotel and nearby. Guests can enjoy countless walks and hikes from Palé Hall’s front door, and as dog lovers themselves, Alan and Angela will welcome dogs to the hotel while also giving them little treats from the kitchen, and the use of personalised Palé doggy towels. During the seasons, Palé Hall will be able to organise shooting parties in the surrounding estates, and also trips to local fishing beats on the neighbouring streams and rivers that are renowned for their salmon and trout. In the heart of the North Welsh countryside, Palé Hall is set to become one of the UK’s leading country house hotels with an emphasis on luxurious weekends away, delicious fine-dining from the acclaimed Michael Caines, and the stunning natural surroundings. 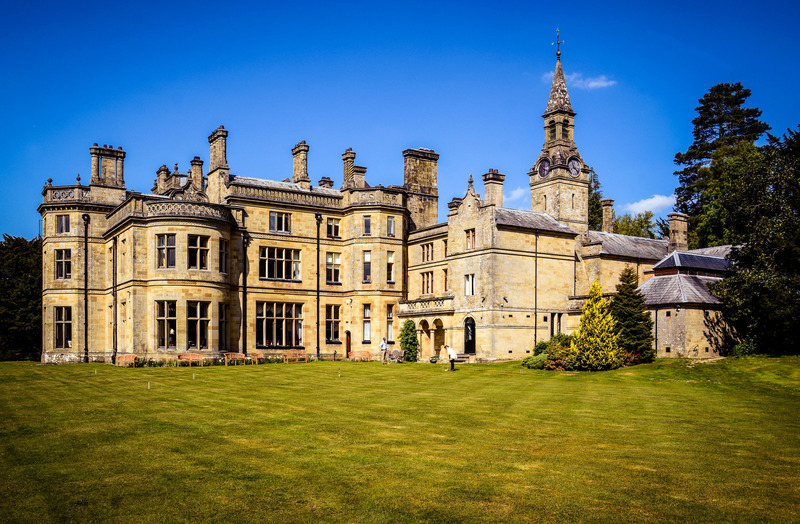 The refurbishment of Palé Hall, the Grade-II* listed country house hotel recently acquired by Alan and Angela Harper, is now set to pick up pace with the appointment of local Bala construction company Williams Homes to undertake the works. Alan and Angela plan to reopen in 2016 with a fine-dining restaurant in association with Michelin-star chef Michael Caines. Williams Homes is a family-run business that has been established in Bala for over 25 years. 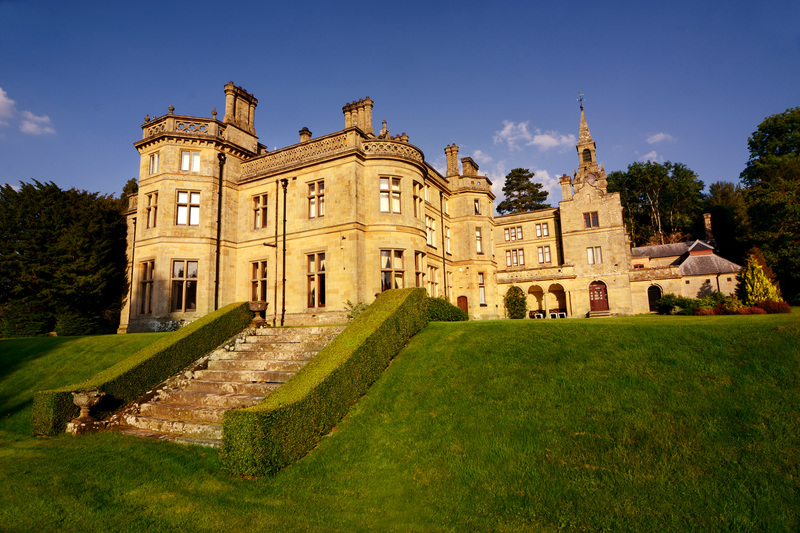 In fact, the business originated from a listed-building renovation project, when its founders Owain and Sion Williams purchased the Plas-yn-Dre in Bala and undertook its restoration themselves. Williams Homes’ operations have since grown and diversified, but historic and listed building work still remains a central feature. Their background and expertise in this sector have won them a number of high-profile projects for both Cadw and the National Trust, most recently including the construction of a new visitor centre in the Penrhyn Castle Estate. Palé Hall Hotel, the historic Grade II* listed country house at Llandderfel, near Bala, Gwynedd, has now passed to new owners Alan and Angela Harper. The hotel will remain closed whilst undergoing an extensive programme of refurbishment, reopening in summer 2016 with additional guest capacity and an exclusive fine dining restaurant created in association with Michael Caines, the acclaimed two Michelin star chef. Caines is one of the most recognisable stars in the firmament of celebrity chefs, appearing as a judge on TV’s Masterchef Professionals and also a regular contributor to the BBC’s Saturday Morning Kitchen. In a career spanning more than twenty years he has gained two coveted Michelin stars during his tenure as Head Chef at Gidleigh Park hotel in Devon. He now oversees a number of restaurants bearing his name and also provides trackside gourmet dining facilities to the Williams F1 team. In 2006 he was awarded an MBE for his achievements. Palé Hall is regarded as one of Wales’s most important surviving country houses. 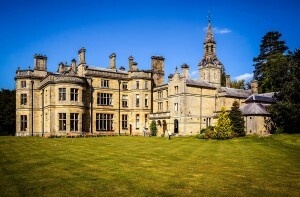 It won great favour with Queen Victoria who stayed there as a guest during a visit to North Wales in 1889. So charmed was she by the house and its surroundings that she remained in residence much longer than her schedule had intended. The house has its own hydro-electric power supply generated from a facility within the 50-acre grounds. Installed in the 1920s this is believed to be one of the oldest surviving hydro-electric generators in the UK. Alan and Angela have retained specialist consultants to optimise its potential, whilst preserving the historically significant original generator installation. The images below are released for publication. Click on the image to view larger in lightbox. Use link below each image to download a high-resolution 300 dpi Jpeg file (Right-click/Save as). 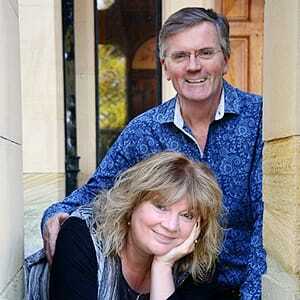 Above: Alan and Angela Harper, owners of Palé Hall. Above: Palé Hall’s General Manager Debbie Cappadona.